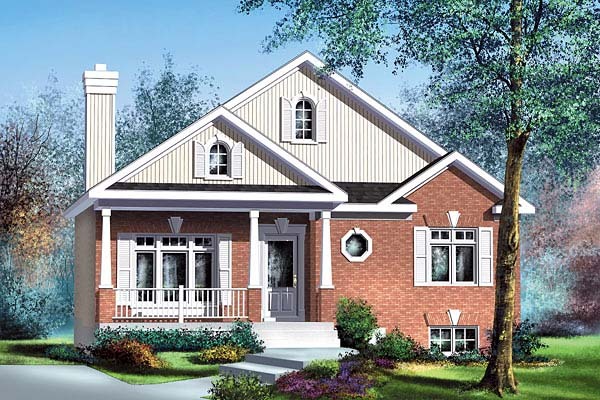 Question: want to know if this house plan comes with a basement? secondly will it be conducive in the tropical country (Africa) precisely? And what type of roofing will be appropriate the usage? Regards. Answer: Greetings, Yes this plan comes with a foundation plan. Our plans are designed to withstand low temperatures (around -30 degrees Celsius or -22 degrees Fahrenheit). The walls are made of 2 x 6 wood studs and the roof structure is made of wooden engineered trusses. The plans can possibly be adapted to the requirements of your region. Structure wise (posts and beams) there aren't any real changes to be brought since the floor loads remain the same. The foundation's footing sizes must be adapted to the soil load bearing capacity of your region. Our footings were designed to be supported by soil that has a load capacity 2000 pounds per square foot. The lower the load capacity of the soil, the wider (and maybe thicker) the footings must be. The lintels above wall openings (door and window openings) were designed to support a snow load on the roof of 50 pounds per square foot. In your case you'll probably have to down size the lintels. In terms of insulation, you probably won't have to insulate as much as we do. Therefore you might consider building the exterior walls with 2 x 4 studs, wooden or structural aluminum, whichever material is more common and affordable. In any case the plans will have to be stamped or approved by a local architect, engineer or designer (in accordance with the building code in your region). The roofing will have to comply with the building code in your region. 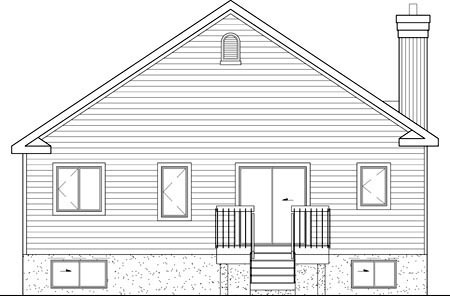 The plans are designed with plywood and asphalt shingles for the roof.